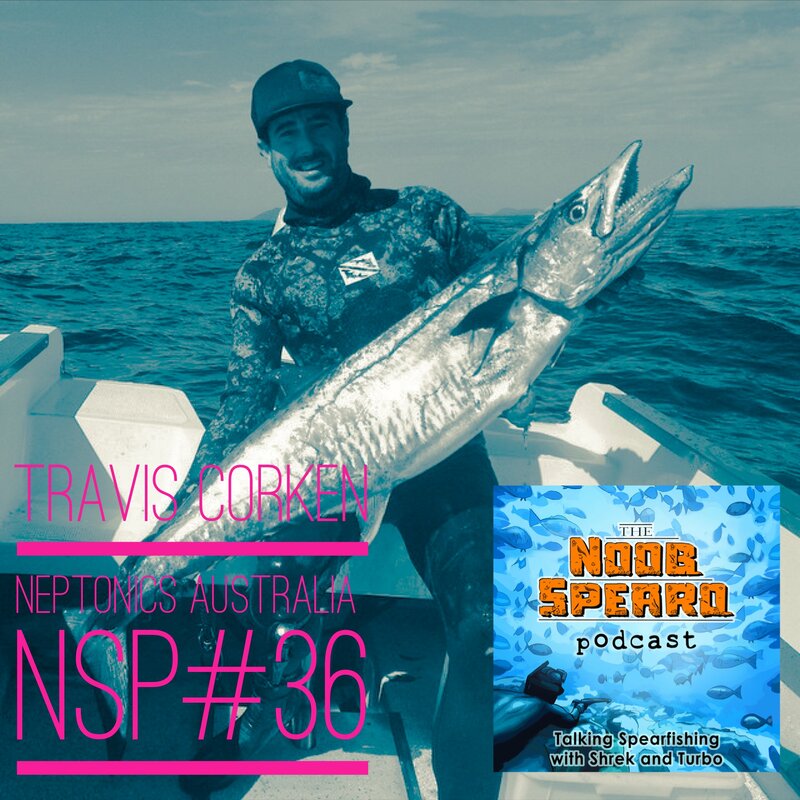 In this interview with Travis Corken Neptonics Australia owner/operator we do an in depth Q&A to learn more about equipment for bluewater spearfishing. Removing points of failure, keeping equipment simple and building trust with the fish were all themes that come through strong in the interview. If you like learning about innovative spearfishing equipment such as the floatline clutch and weight belt multi adapter for reels, then this is an ideal interview to tune in for. Travis also candidly shares a story about a personal blackout experience while diving in Fiji. After the blackout story we explore some practical takeaways from his experience and its well worth the listen all by itself. Turbo and I were happy to get Travis Corken on the show as we both think he’s one of the most genuine blokes in Australian spearfishing. 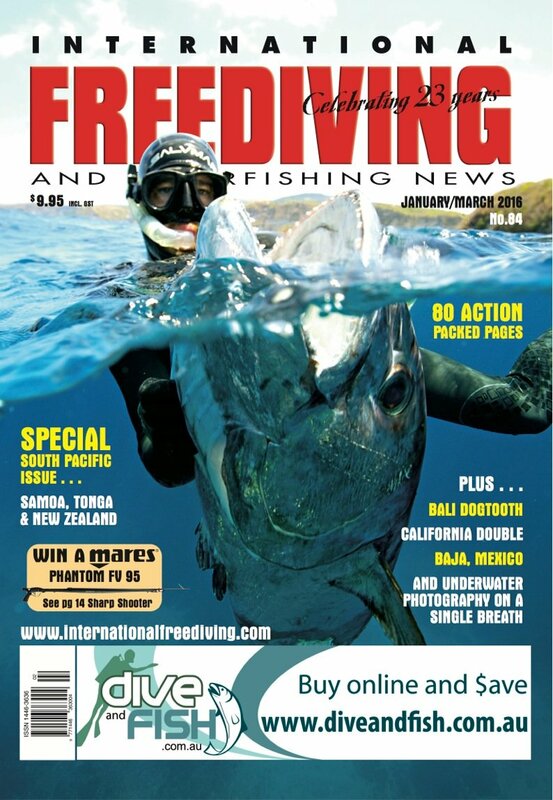 Travis Corken has also been an active contributor to many of the best spearfishing magazines over the years, as you will see in the IFSN covers below. Fairly recently Travis became the owner/operator of Neptonics Australia, which is conveniently located right next door to Peter Kesby, creator of Kes Spearguns. Travis started bluewater hunting in 2009 when he and some of his mates wanted to start exploring waters further afield from Australia. 2009 was the year that began a journey traveling the world in search of fish and meeting some of the worlds best divers in the world including guys like Justin Bates and Brandon Whalers & Simon Fairbourne. Here is a bit of background on Travis. Travis also designed the ROAM speargun which is featured on the Kes website here. The speargun is quite universal, with the ability to be powered up with 5-6 bands and a two piece wing kit to target big fish over 50kg. The Roam speargun can also be broken down to a 2-3 band gun, and with the removal of the wing kit can then be used to shoot smaller reef species and pelagics. If you would like to learn more about the Roam speargun there is a link below. We start of the episode with some long overdue shoutouts to the Noob Spearo community. Thank you for reaching out to us! Turbo lists of some of Travis’s Personal Best fish and spearfishing travel experiences before we get into the meat and potatoes of the interview. 5:00 Travis’s experiences getting started spearfishing. Meeting mentors and mates and learning his local species. He also talks about his early spearfishing gear that many of us will relate to. Mentioned were Andre Ruakura, Simon Latta and Toddy Degraph (excuse my spelling errors). 10:00 Early obstacles, overcoming breath hold issues and learning the ropes by watching the experienced guys. 12:00 First Memorable Fish – Wahoo with a mask half full of water. 15:00 Travis’s Favorite spearfishing hunting technique. Getting to the bottom and letting the fish come to you. He introduces a theme for the episode about ‘building trust with the fish’. 21:00 2 Scary Moments. Aggressive Tiger shark experience and a personal blackout tale. This is an in-depth and honest look at a significant spearfishing blackout event with several key takeaways. 33:00 Spearfishing Bluewater Equipment deep dive. We start off chatting quickly about a 220kg (nearly 500lb) Marlin that Travis speared a while ago and the full mount he had made up. Mentioned was Glenn Stuart a renown marine taxidermist based on the East Coast of Australia. We talk about hard running fish and some of the essential equipment changes to make when taking on larger fish. Here are a few of the other items we discuss. Stainless cable as shooting line, do the double crimp and buy coated because it holds its memory. Bungee and its application in deeper water. Use D-Shackles instead of shark clips. Jaga Crossingham from Freedive Fiji was mentioned. We interviewed Jaga a while ago and some of the fish that they have taken over there are phenomenal. listen into some Fiji Spearfishing adventures here or checkout this facebook post with a recent 57kg Wahopo capture by Jaga. 59:00 Whats in your Divebag? Kez gun with a reel and belt reel (Aussie Reels). Travis jumper back on with us recently to talk about his personal experience with the new HECS wetsuits, unfortunately due to some audio complications we weren’t able to include it but if you would like to know more about them then give him a call (his details are below). Dont chase Fish > Relax and build trust with the fish. “I wanna be able to have somewhere where people can come and view our spearfishing gear before they purchase. 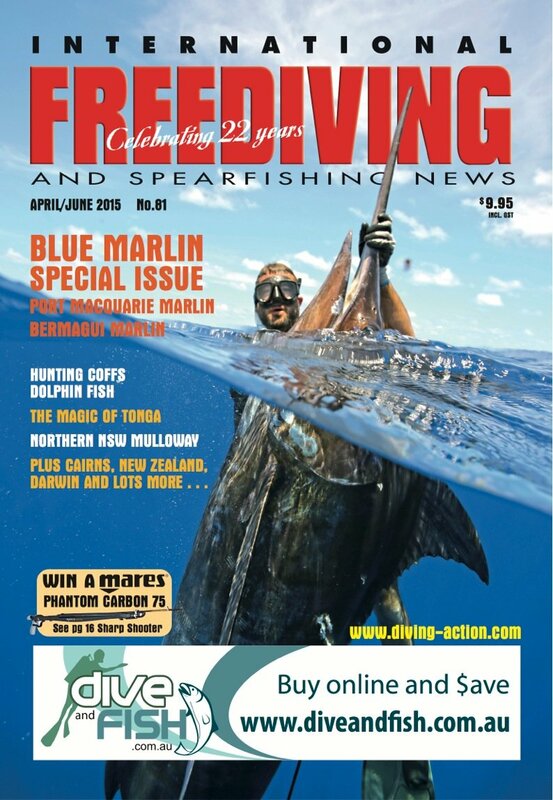 In the warehouse we will have on display a 220kg blue marlin plus Jaga Crossingham’s 94kg Fiji record dogtooth tuna. The warehouse can be open at anytime as I live next door so after hours appointments are fine. I can offer a %10 off discount to the first 20 NSP listeners across our range. They can enter code #neptonicsaus at checkout to receive this discount. You can get hold of Travis on 0422 309 405, he is based in Frederickton, NSW 2440 which is the gateway to south west rocks, hat head and crescent head. If you enjoyed this interview please leave us a review on iTunes here! Thanks for listening.